Are You a High-Risk Driver? We Can Help! Having homeowners insurance in place is a requirement for any mortgaged property, but it is also a smart idea even if you own your home free and clear. If you would not be able to financially recover if your home was seriously damaged or completely destroyed or if someone was hurt on your property, you should be checking into getting a homeowners insurance estimate. 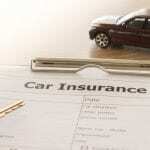 Here are some tips that can help you navigate the process and get the right coverage. Know the particulars about your home, so you can relay the information when asking for a homeowners insurance estimate. You’ll need to know the square footage, year built, how close the nearest fire hydrant and fire department are to your home, type of construction (stick or concrete, for example), number of other structures and type, and whether you are in a flood zone. Your insurance agent can often help with many of these answers by pulling up county records, but you will need to confirm the information. Consider how much coverage you need and what deductible you are comfortable with. Generally speaking, the coverage will be a set amount based on what it would cost to rebuild your home completely. This is not usually based on current per-square-foot costs, but at what they would inflate to in a widespread disaster situation so that you won’t be left unable to rebuild in such a situation. Be sure to include the value of your belongings and also how much coverage you want for liability protection. Be sure to ask about additional coverage if you have certain types of valuables you wish covered. Discuss any discounts you could be eligible for, such as bundling with other coverages, having a monitored burglar system or other safety measures, having an impact-resistant or hurricane-rated roof, and certain home improvements. Here at Curtis Helms Insurance, we take the time when compiling information for a homeowners insurance estimate to learn about you, your risk tolerance, and which discounts you can or could qualify for. Our goal is to provide the best coverage for your needs while keeping the premiums as affordable as possible. Give us a call today to learn more. Family-owned and operated since day one, Curtis Helms Insurance is your top source for all things business, home, car, and life insurance in Charlotte, North Carolina. Charlotte NC, Monroe NC, Kannapolis NC, Mooresville NC, Hickory NC, Harrisburg NC, Raleigh NC, Greensboro NC, Winston-Salem NC, Wilmington NC. What Commercial Insurance Does Your Business Need? Are You a High-Risk Driver? We Can Answer Your Insurance Questions.